Race first class in a boat that embodies the absolute latest in hydrodynamics. Cruise first class, as well, with a luxurious varnished interior. Sleeps 7. If the design parameters of your next boat include the absolute latest thinking in high performance aero and hydrodynamics, the Pearson 37 deserves your immediate evaluation. Her estimated IOR rating is 28.5 and extremes have been avoided to help secure your investment against rule changes. 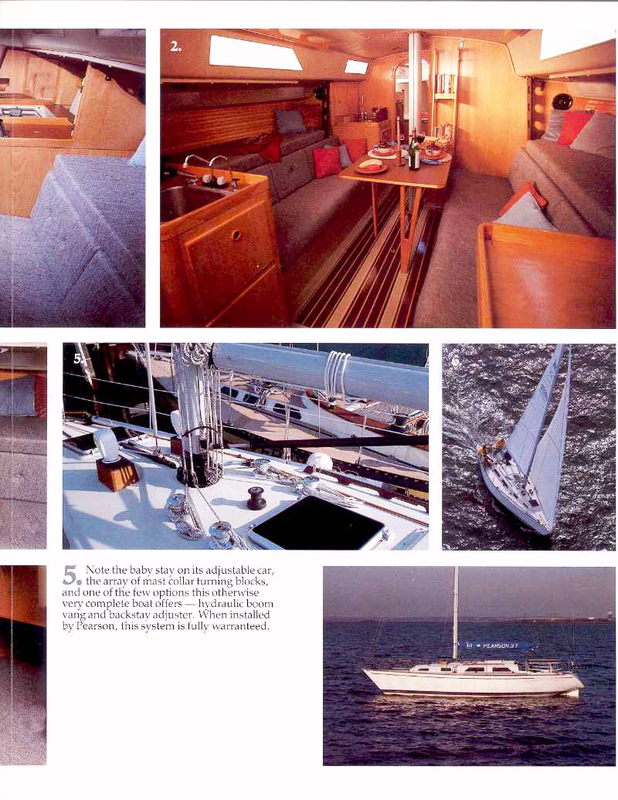 Belowdecks, a stunning contemporary wood interior, and an elegantly comfortable 7-berth layout makes the Pearson 37 a versatile performer. We see no reason why you shouldn't race and cruise first class. 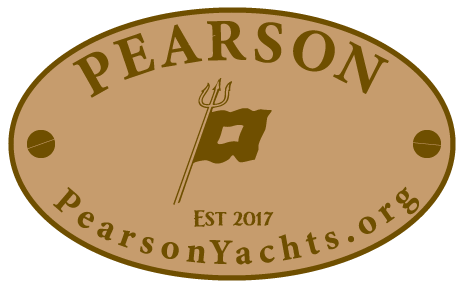 The new, state of the art Pearson 37 can be seen at most major shows this fall. 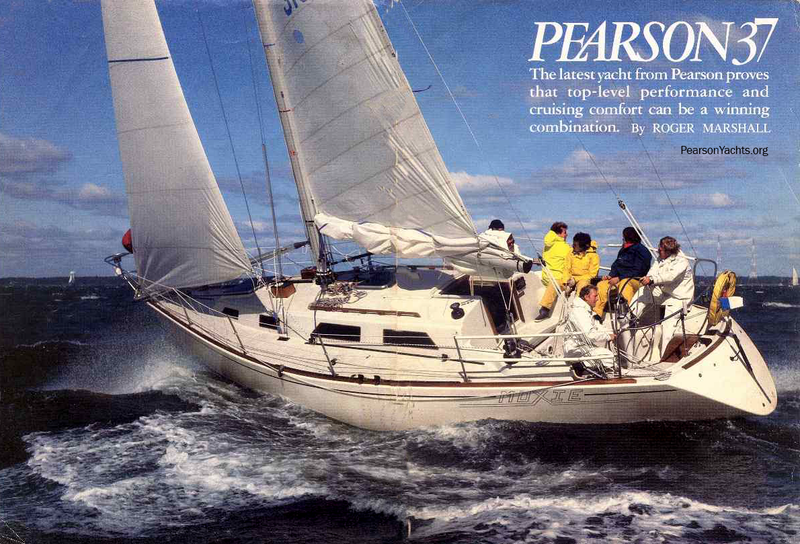 The boat design by Bill Shaw was built by the American company, Pearson Yachts, at their Rhode Island, United States plant between 1982 and 1986. 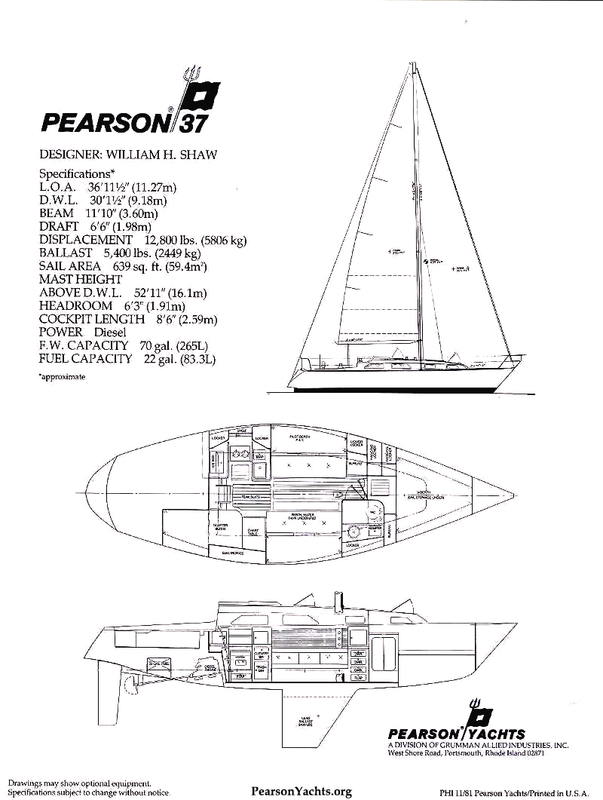 Although Pearson Yachts is no longer in business, 42 of these boats were completed during their years of production. “I designed the boat for sailors who wanted to race their boats in IOR and PHRF fleets, then jettison the crew, pick up the wife and children, and go cruising,” he said. “The hull design was state-of-the-art, if you will, and she was furnished with a comfortable, though lightweight, interior.” - Bill Shaw. 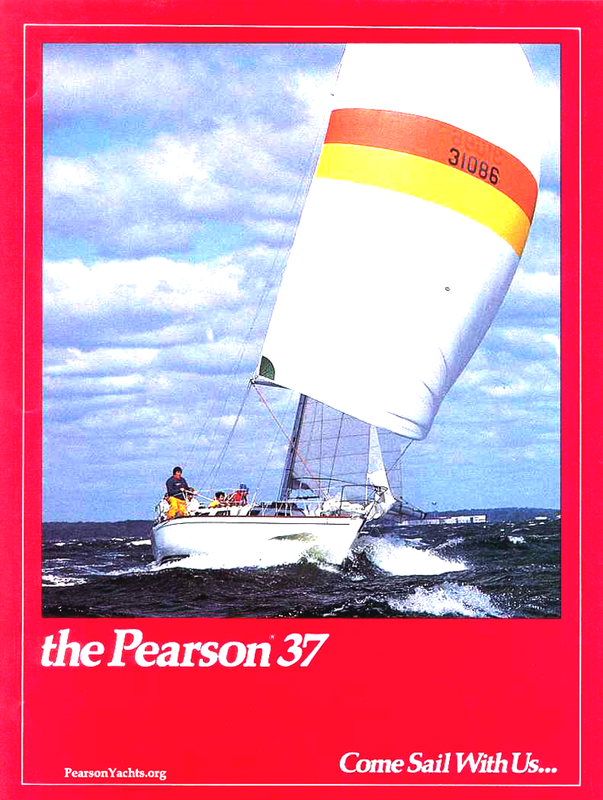 The Pearson 37 was designed to IOR racing rules, by a designer who also recognizes cruising attributes. It has the distinction of having twice won the Boat of the Year in the Gulf of Maine series. 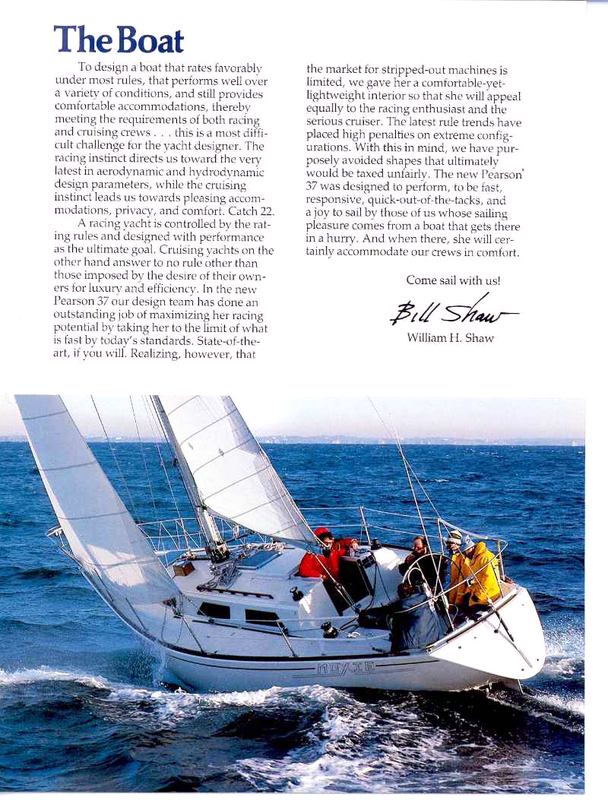 As a solid, well-built boat, the P37’s racing orientation does not preclude its ability to handle offshore seas. What constitutes a cruising over a racing boat is very often a personal decision. Can this boat handle blue water? Most assuredly. 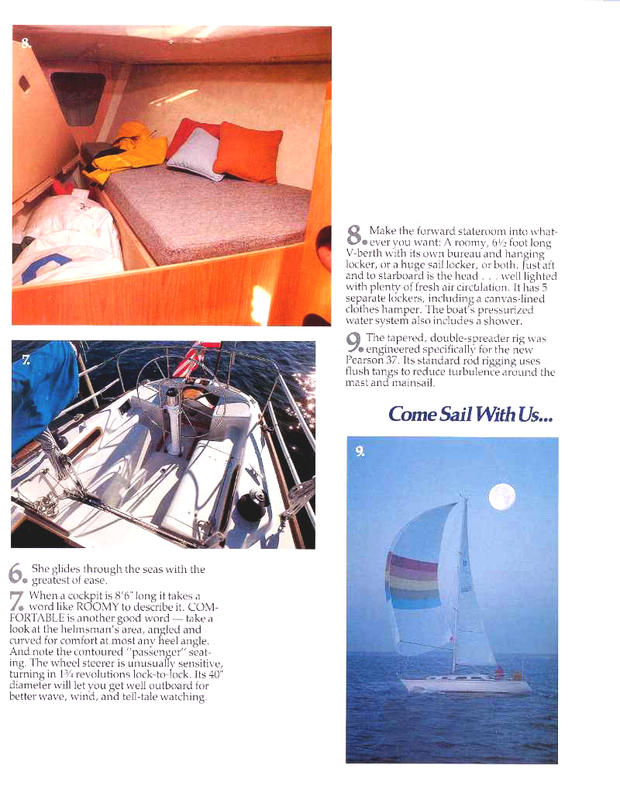 However, the IOR did impose design restrictions that might make the boat less attractive to those looking for a more traditional or dedicated cruising design. Only you can make that decision which typically turns out to be based on comfort - however that factor might be defined by you and your crew. To design a boat that rates favorably under most rules, that performs well over a variety of conditions, and still provides comfortable accommodations, thereby meeting the requirements of both racing and cruising crews... this is a most difficult challenge for the yacht designer. The racing instinct directs us toward the very latest in aerodynamic and hydrodynamic design parameters, while the cruising instinct leads us towards pleasing accommodations, privacy, and comfort. Catch 22. A racing yacht is controlled by the rating rules and designed with performance as the ultimate goal. Cruising yachts on the other hand answer to no rule other than those imposed by the desire of their owners for luxury and efficiency. 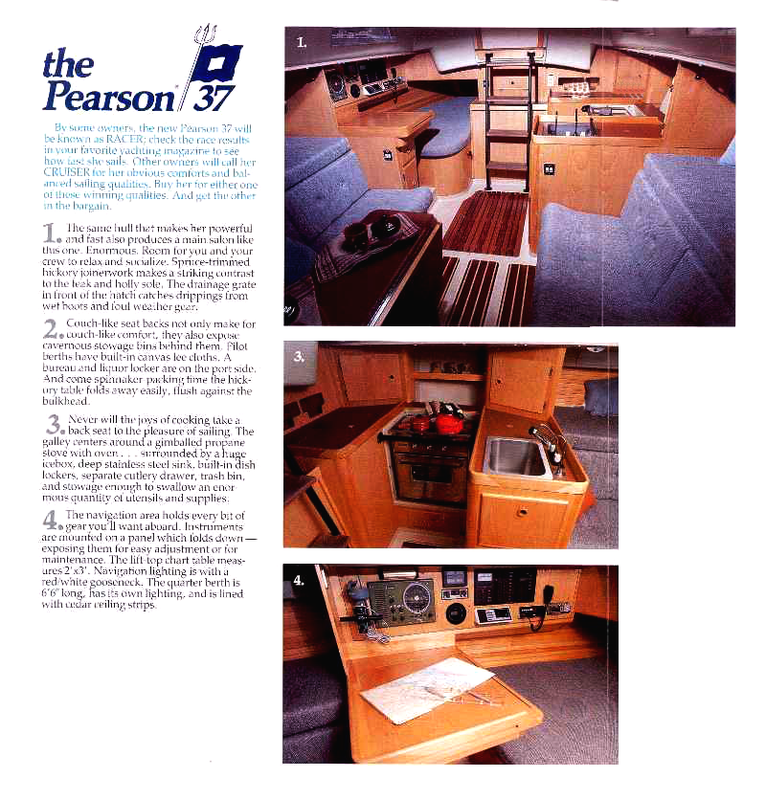 In the new Pearson 37 our design team has done an outstanding job of maximizing her racing potential by taking her to the limit of what is fast by today's standards. State-of-the-art, if you will. Realizing, however, that the market for stripped-out machines is limited, we have here a comfortable-yet-lightweight interior so that she will appeal equally to the racing enthusiast and the serious cruiser. The latest rule trends have placed high penalties on extreme configurations. With this in mind, we have purposely avoided shapes that ultimately would be taxed unfairly. 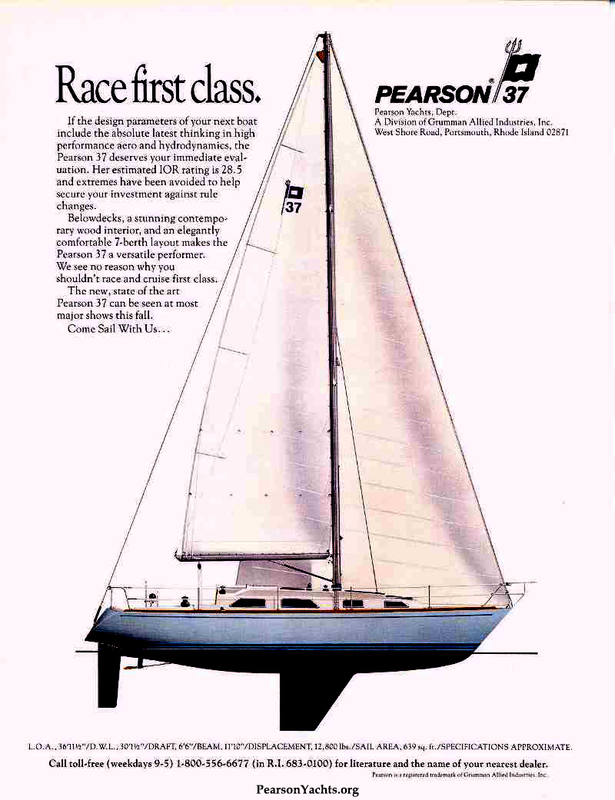 The new Pearson 37 was designed to perform, to be fast, responsive, quick-out-of-the-tacks, and a joy to sail by those of us whose sailing pleasure comes from a boat that gets there in a hurry. And when there, she will certainly accomodate our crews in comfort.